We make great efforts to ensure that each and every customer is completely satisfied with the experience they have with ARC before, during, and after their electrical repair, installation or service. Our residential and commercial customers continue to rely on us for excellent workmanship, superior service, competitive pricing and quality products. 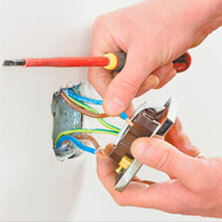 ARC electrical technicians have in depth backgrounds of both electrical diagnostics and repairs. Conscious of their own personal safety and the responsibility of the safety of our customers our technicians use all their skills and talents to ensure a project or repair is done safely and properly. Whether a simple flickering light, a new light fixture install or a full home system design, our Professionals provide the customer with the insight and options available for their project or repair needs while executing the project or repair with utmost safety and workmanship.